A few words from Neil on Pavane: "When Old Earth Books told me they are reissuing Pavane, which was originally published in 1968, I told them: 'I read one story from Pavane when I was nine, and it scarred me…. I read the whole book as a teenager and learned where that story had come from, and the shape of the whole story and I felt the scars heal….' Pavane was Keith Roberts' masterpiece: profound and still remarkable." Considered Keith Roberts' masterwork, this novel consists of linked short stories (six measures and a coda) of a 20th century in which the Roman Catholic Church controls the Western world, and has done so since Queen Elizabeth of England was assassinated in 1588. The Protestant Reformation never happened, and the world is kept in a Dark Age of steam-power transportation, with no allowance for electrical power, by a tyrannical Rome. Pavane shows the harshness of life in this society and details the generational struggle for independence by the citizens of Dorset, England. It's through this series of moving tales that Roberts interweaves a discussion of Destiny and History that take the book out of the ordinary. And the author's great love of his native country makes this the most English of novels, and one of the finest in fantastic literature. 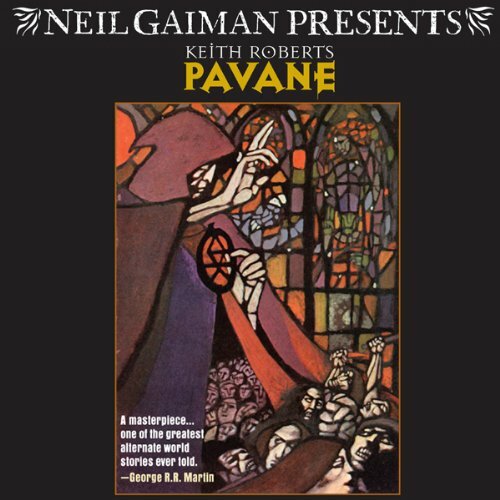 To hear more from Neil Gaiman on Pavane, click here, or listen to the introduction at the beginning of the book itself. 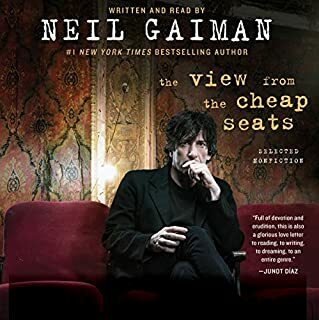 Neil Gaiman Presents, and George R.R. Martin praises it right on the cover. Two powerhouse names like that can't be wrong when they stand in agreement, and it's that very reason I selected this book. These are names I trust. This is an older novel and reads like one, but that's certainly no turn-off. What's a bit jarring is the format and presentation. A Pavane is a style of music, and the format was presented in here in literary form as 6 movements and a coda. The basic idea is that this is an alternate history where Queen Elizabeth I was assassinated, and in the mid-20th century, the Roman Catholic Church is still in supreme dominance as a result of having killed the Reformation. It's a steampunk styled world ruled by superstition and fear, but far more authentic feeling than most steampunk. It feels less like fantasy and more like a legitimate alternate reality. Sounds epic, right? Yes and no. You don't get an epic here. What you get is a personal account. Each of the stories contained here link one to the next through the eyes of the characters. Instead of a big worldview epoch, you get a human quality to the world as these people see it - what it's like to live in this world from within a few different walks of life, with the same emotions, strengths, and frailties that people are prone to have in our world as well. It's a master class in characterization. As a result, it burns slow, but it burns evenly, as surely as a higher quality candle. It doesn't illuminate the entire world, but it does illuminate the corners of it we visit through these characters, and it casts larger shadows of suggestion into that world. It definitely leaves you wanting more. More's the pity that there is no more save for what we take from the suggestive nature of asking the two most powerful words in the English language: "What if...?" I knew in the first 10 minutes of this recording that I would not be able to do anything requiring multi-tasking while listening. The story is so deep and so full of the facts of this alternate universe, that it needs full attention. It is written as though the author didn't just consider the surface change of this non-reformation world, but the skeleton and tissue of it's history - each of the separate stories centers on how the characters would live and react in a world dominated and restricted by the one and only church. The reader does a superb job of conveying the feel of this world and its characters. Overall it is a dark world, but ends on a message of hope and the alternative world feels solid and real. Keith Roberts vividly imagines the world of his alternate history novel Pavane. Because Queen Elizabeth was assassinated, for four hundred years the Catholic Church has dominated the world, including the American colonies and England (Angle Land). Because the Roman Church has been repressing science, technology, and freedom, in the 20th century hauliers pilot giant steam-powered locomotives pulling wagons of freight over roads, signallers send messages through a complex series of semaphore towers, soldiers wield crossbows and swords as well as muskets and pistols, and priests perform exorcisms to banish Satan from sick people. Mother Church rules from Rome with a heavy hand, imposing heavy taxes and torturing the bodies of sinners to free their souls. Some people are chafing under the Church's rule, and the Church is quick to stamp out any spark of rebellion. Pavane is a narrative dance of six Measures (short stories) and a Coda (epilogue). Beginning in 1968, each Measure depicts a crisis and change in the life of its protagonist (three male and three female) and combines with the other stories to make a novel which depicts a crisis and change in their world. Roberts writes stark and beautiful Dorset hills, heaths, and coasts, fascinating crafts and professions, and piercingly human characters. He also weaves through his pavane a mysterious thread of the fantastic: the Old Ones ("fairies"), who inhabited England before the Normans and Catholics, are still in the land, though they have mostly retreated into the darkness. Pavane reminds me of A Canticle for Leibowitz as much as The Man in the High Castle but is very different than both. 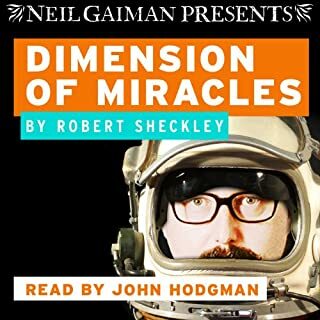 This audiobook, which Steven Crossley does a marvelous job reading, moved me and made me think, but the Coda (despite ending with the sublime beauty of glowworms held like stars in hands) felt like a dance step too much for the pavane, because it unconvincingly re-choreographs the six measures. Keith Roberts's 1968 novel, Pavane, imagines an alternate 20th century in which England's 16th century split from the Catholic Church had never happened. As a result, all of the Western world is ruled from Rome, whose hierarchy has kept a jealous lid on science and technology. That which is permitted has taken on some pretty baroque forms, such as great steam-powered hauling vehicles and a communication system based on hilltop-mounted semaphors, run by a powerful paramilitary guild. Such inventions might have been labeled "steampunk" had Pavane been published 30 years later, but that term is too hackneyed to do this book justice. While technology is part of Roberts's vision, it's also a window into a more mystical, pastoral England, where the ancient, primal religion of the past hasn't yet been supplanted by progress, and the supernatural world of Faerie still swirls around the edges of the Christianized one, playing its mischief on hearts and minds. For perhaps the old ways, both pagan and Christian, are meant to guide humanity, but in ways not fully revealed. Pavane isn't a conventionally plotted novel, but consists of six loosely-connected "movements" that build on each other in layers. 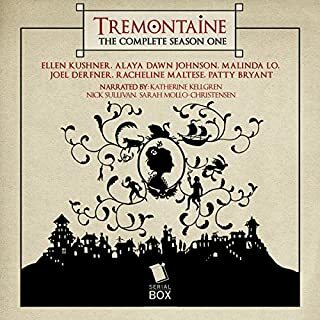 Each, centered around a different character, can be read as a self-contained story set in a shared world, but, together, they comprise a meditation on the way change can take hold of a person or society, the themes and actions of the earlier pieces taking on greater significance in the later ones. 1. A young steam train driver suffers a broken heart, then is tested by bandits. 2. A semaphor operator in a lonely post is badly injured, but by who or what, we don't know at first. Flashbacks reveal his history and the nature of his guild. 3. An adolescent fisher-girl's transition to womanhood is associated with her encounters with a strange white boat, which the local folk aren't supposed to acknowledge. 4. An artistic monk is broken by a terrible assignment from his superiors, and leads a spiritual rebellion. 5. A significant death and a significant love affair lead to a vision. 6. A noblewoman faced with an unjust demand rebels against Rome. Maybe the most riveting piece. Coda: the scientific revolution has begun at last, but with a significant difference from our own world. While some of the stories, taken on their own, are more interesting than others, I loved seeing the connections between them unfold. I found Robert's prose to be lovely and sensory, and his storytelling quite good as well. 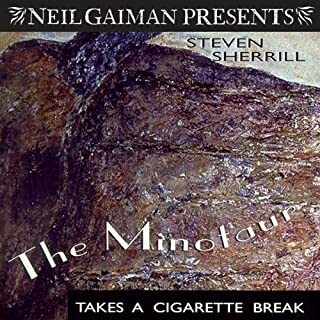 It's not at all a surprise that Neil Gaiman used his influence to have this one brought into audio form. The major themes of the novel (discipline, change, awakening, the mystery of the unknowable) are more insinuated than spelled out, which might put off readers who require a strong, well-defined plot to hold their attention, but I'm not such a reader. If, like me, you're drawn to the intersection between science fiction, fantasy, and literature, this book probably deserves a place on your shelf. For me, the wistful mood of Pavane, aided by Steven Crossley's fine, classically rich-voiced audiobook performance, secure it a place among my favorites. Kudos to Gaiman for calling attention to it. 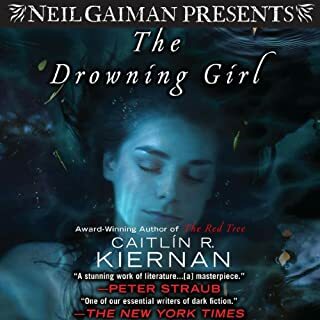 This is a book I would have never listened to or read if Neil Gaiman hadn't recommended it. I am a big science fiction and fantasy fan but still had never heard of Pavane. And reading the descriptions here in Audible and on Amazon didn't really pull me in. But I tried it based on Neil's recommendation. For the first 10 minutes I thought I had made a mistake. A few days later I came back, tried again from the beginning, and was hooked. I'm a big fan of the alternate history genre and this is not your usual alternate history novel. But in this case that is a very good thing. My first real science fiction reading just happened to be 70's English "New Wave" like Michael Moorcock, Brian Aldiss and J.G. Ballard. Pavane reminds me a lot of the best New Wave writing I remember from my youth. Not for everybody but fantastic for those who can appreciate it. A story in 6 parts. Strange, facinating and troubling. Where Neil Gaiman often has the fantastical within the "normal" i.e. Neverwhere and Coraline, this is an alternate history of what could have been. England and the rest of the world under the sway of the Roman Catholic Church; Spain controls the New World. The 20th Century with steam power only and an ongoing feudal system. A somewhat disconcerting premise. It is a book that I will continue to think about and will listen to again. I agree with many that Keith Roberts’ writing was excellent and that he has a very good literary style. Unfortunately, the story or plot itself is very, very boring and I don’t feel it was worth a credit or worth reading. There are several stories in the novel that Roberts’ attempts to interrelate. The first story was interesting and the second wasn’t bad. After that, I kept reading hoping that the plot would then develop with the next story and that it would get even better. No such luck. It was downhill all the way after story two. I would not recommend the novel, Pavane. The narrator, Steven Crossley, was excellent. I've read and listened to a lot of alternative and "real" history, and this is one of the best. Yes, it is hard to listen to sometimes, partly because it makes you THINK about history. About the changes that were needed to say, invent the airplane. But also, it is so rich and detailed. The workers make you think about most jobs, the routines you go through every day, to make your job work. I listened to this just after "23 things they don't tell you" about Capitalism, which affected my feelings about this work too. About how the framework of your society, affects your personal decisions. Pavane is not a work I would have selected, based on the description. I AM hooked now though, on Niel Gaiman's sense of taste. The only think I like better are the books he himself narrate. This is a story that unfolds slowly, with no dramatic event(s) at the end of every chapter as is so common in modern pulp fiction. I enjoyed it very much; but then, I enjoy John LeCarre novels - work that some find ploding. It is not Baldacci. (Whose writings I enjoy but would not need or want to reread). The meaning of the word 'pavane' well sums the development of the story. Pavane is much better characterized as alternative history than science fiction. There are no gizmos that don't exist in today's world. But ... there is a bit of fantasy. PS I use the term "pulp fiction" in the best sense. Hawthorne and Dafoe were pulp fiction writers of their time. Focussing on great detail on a few brief points in an alternate timeline made this book something to be felt, like leafing through a book of watercolours, rather than gripped by. Melancholy, but enjoyable. I read this book many years ago and it was fantastic to go back to it and remind myself of the end. The traction engine parts are so correct I could smell the steam and hot metal. The narator is excellent. I would highly recommend this book. this is evocative writing and beautifully performed. great intro by Neil Gaiman. i highly recommend it. 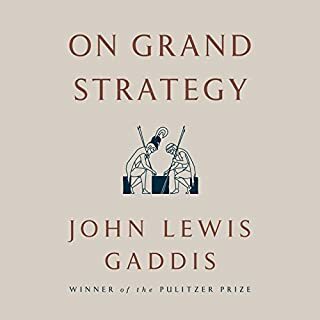 It's a great book, well worth a second listen. The story is enchanting though the narrative jums between characters and there are loose ends which left me thinking.... I liked this.